Miami has long had a reputation for expensive hotels. Names like The Fontainebleau, The Delano and the Eden Roc are synonymous with the city’s glitzy image and its reputation as a celebrity escape. You could spend a fortune before you ever leave your room! But like many aspects of our little paradise by the sea, appearances can be deceiving! Did you know that it’s easier to find inexpensive accommodations on South Beach than it is in a city like Austin, Texas? Many people think of hostels as being exclusively for young people from foreign countries. But this isn’t the case! At least, not in South Beach. South Beach has more hostels in it per capita than most US cities many times its size, probably due in part to its international flair—and most are open to having visitors of all ages and nationalities! If you’re looking for a shared accommodation that captures the local feel, The Tropics makes a fine choice. It’s quiet, boasts its own swimming pool, and is just steps away from Miami Beach’s premiere pedestrian thoroughfare, Lincoln Road. Its architecture and retro signage evoke the 1950s, when life was stylish, and modernist architecture was all the rage. Similarly, The Clay Hotel is another popular spot for hostel accommodations. With visual appeal and a good location, the hotel is ideally perched at the corner of Washington Avenue and Espanola Way. The Clay, however, is reminiscent of a much older period in local history: it is a carry over from the days of prohibition and gangsters! Its architecture is classic Florida-Mediterranean, and it’s larger than you might think. Once you check in at the main building on the corner, its labyrinthic hallways will lead you into a couple of adjacent buildings along Espanola Way. If noise is a concern, avoid the rooms facing Washington Avenue. Of all the hostels, The Clay has the most history: it was once an escape for Al Capone, a former speakeasy, and Desi Arnaz was performing here decades before he ever starred in “I Love Lucy”! For a party atmosphere, no place tops The Jazz on South Beach! 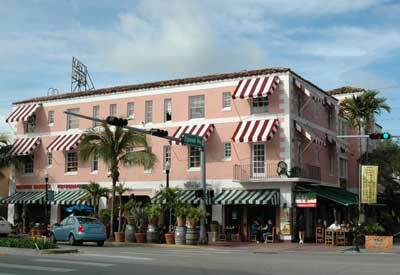 It’s located in the quieter section of South Beach below Fifth Street. The locals refer to this neighborhood as So-Fi—South of Fifth. But apparently no one told the Jazz, because they have a lively BYOB pre-club get-together in the lobby almost every night! If you want to meet new people, this is probably your most social option. If, on the other hand, you prefer your lodgings quiet and secure, The South Beach Hostel is the place for you. It’s very clean with a kind of minimalist decor, and all its doors beyond the lobby require key cards to get in. Despite its comparative tranquility, it does have an on-premise bar where you can meet your fellow guests. As you can see, there is quite an assortment to choose from, and these are only a few of the more notable ones. There are quite a few other hostels. Most will give you a choice between dorm-style accommodation and private rooms, and range between $20 and $30 a night for the shared options. Many of them have a 3-week maximum stay rule, but as with most things in South Beach, rules were made to be broken! If you pay in advance, and are a friendly, trouble-free guest, you can often negotiate your way into a longer stay. Hostels, after all, make great transition housing for new residents who need a little time to scope out the territory! Boutique hotels are the smaller hotels, usually with a little Art Deco feel. They tend to be colorful, with stylish accents that take you back to the 1920s and ‘30s. You’ll find many along Ocean Drive and Collins. They’re a step above hostels, but not quite in the league of their big brothers, the luxury hotels. It is here that you’re most likely to negotiate a deal. Do you plan on staying for a week or two? Get them to offer you a special rate! Are you paying in cash? Booking direct? These are all leverage points that can help you get a better price. Also, if it’s off season (June-October), be sure to ask for a discounted rate! Some of the more popular boutique hotels on South Beach include Ocean Five, Aqua, Colony, the Clinton, and Astor. The best ones to haggle with are those that don’t offer amenities like breakfast and spa treatments. Boutique hotels will give your stay a little personality—more than you’d get in a larger chain hotel. Service is more personalized, the architecture more exciting, and the prices, competitive. Their quality, however, can vary vastly from establishment to establishment! So take a little time to do some research on tripadvisor before you make your reservation. It can mean the difference between a trip to remember—and vacation hell! If you’ll be traveling with a car, you’re in luck. 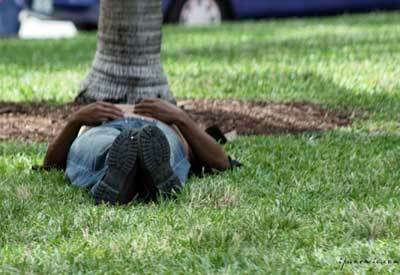 There are many areas beyond South Beach where you can find cheap digs! The Dania Beach Motel 6 is a spot that many budget-conscious visitors to Miami have discovered. A mere half hour away, it’s nestled in a mangrove swamp replete with local wildlife. Don’t be too surprised if during the latenight hours, you should spy a raccoon or two rifling through the parking lot dumpster! Dania is also a great choice if you’d like to do some exploring beyond Miami; it’s very convenient to the cities of Hollywood and Fort Lauderdale. Hollywood offers the area’s only boardwalk experience, and makes a fun, down-home contrast to the South Beach glamour. Long the winter home of Canadian snowbirds, the boardwalk is teeming with inexpensive pizza joints, where the beer comes by the pitcher and the second language is….French! 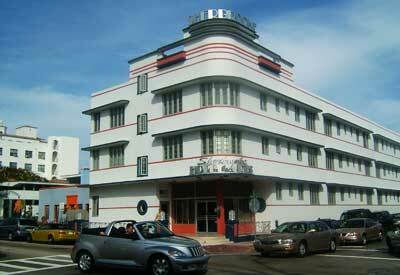 Aside from Dania Beach and Hollywood, you can also find cheap lodging near the Miami Airport. It’s likely to be a chain establishment, but it’ll be a bargain! Sunny Isles, located on Miami Beach, but more to the north of the action, is also a place those in the know like to stay. If you’d really like to get up close and personal with the locals, you might like to consider camping out on someone’s couch! Believe it or not, it’s an option, and there are many online organizations that specialize in hooking you up with accommodations in people’s homes for little or nothing! Sometimes it’s just a couch—sometimes it’s a whole room. Often, your hosts will show you the sights, and their payback is that they can do the same in another city. Global Freeloader: connecting people to offer free accommodation all over the world. Couch Surfing: meet new people, share a meal, an adventure, or a home. Friendship Force: ordinary citizens, known as “friendship ambassadors”, travel to faraway places, visiting host families. Servas: a hospitality program divided into nine regions around the world, each with its own coordinator. Home stays are a great alternative for people who want to spend some time seeing the world, but can’t afford a long stay in a hotel or hostel. Those with the least to spend may opt for the cheapest option of all: camping out under a palm tree or sleeping on the beach. It might sound romantic to be outside under the stars, with the gentle sea breezes to keep you company….but, be advised, this is not the romantic experience you might envision! For starters, the beach is closed every night between midnight and 5am, so don’t be too surprised to wake up with the spotlight of a policeman’s ATV aimed your way. Most times they’ll just tell you to clear the beach, but sometimes, they’ll ask for ID and will question you. The beach at night is also full of petty thieves, who sneak up on the unsuspecting and run off with their valuables while they’re sleeping, or otherwise distracted. So, all things considered, the open air is definitely a last resort! Fortunately, there are plenty of options on South Beach for the budget traveler. Just a little research and advance planning is all you need to find the deal that’s right for you. What’s a room, anyway, but four walls and a ceiling? The less you spend on a room is more you’ll have to spend out having fun! Photos by: Clay Hotel, Sherbrooke Hotel, Scott Alexander.